KEEP MAKING THE smart choice. Take Cardboard to the Bin. 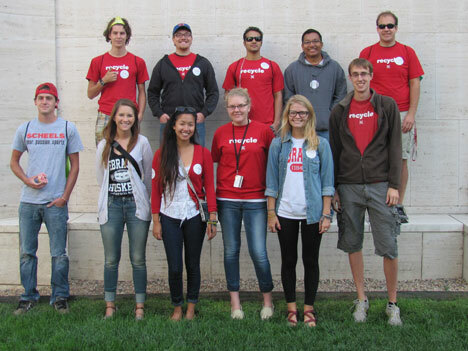 Our mission at UNL Recycling is to promote waste reduction, reuse, and recycling while educating students, faculty, and staff on how to make simple lifestyle changes that positively impact local and global natural environments through voluntary partnership with our program. 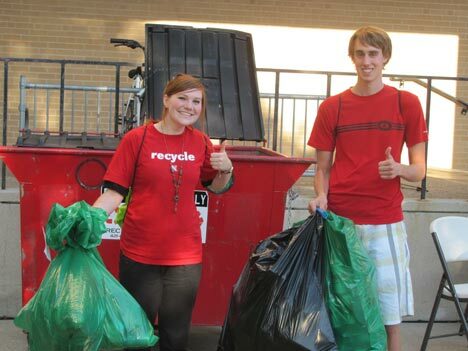 Let's continue to strive to increase our recycling rate at UNL! 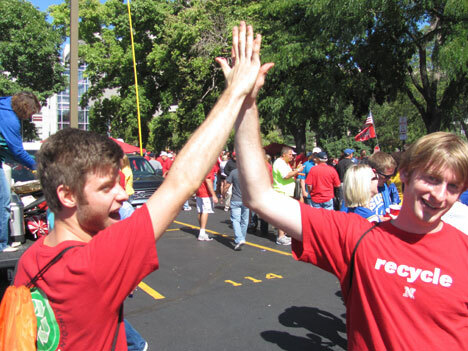 UNL Recycling partners with Recycling Enterprises to encourage recycling on Husker game days. 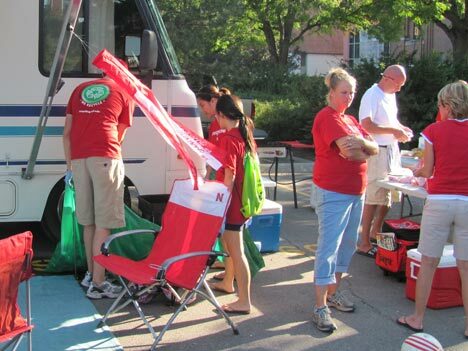 The effort focuses on parking lots and walkways on UNL property around Memorial Stadium. 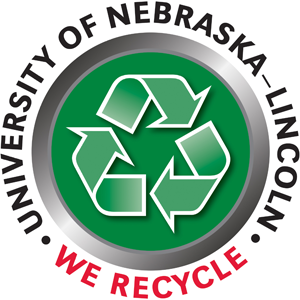 The University of Nebraska-Lincoln is among one of the best institutions of higher education in Nebraska for recycling and waste diversion. In 2017, we diverted 59 percent of our total waste from the landfill. View a chart of items we recycle here at the University, including a printable poster that you can put up on a notice board. Identify the dumpster/dock area where our drivers pickup recyclable materials. Most locations have a dumpster or large tote for office paper, a dumpster for cardboard, and a large tote for plastic/aluminum. Empty full containers in the appropriate tote/dumpster at the nearest pick up location. Please note that plastic and aluminum are collected together, and must be bagged and tied before placed in the pick-up location bin. Each building/department is responsible for coordinating how their indoor recycling containers are emptied in the recycling area. 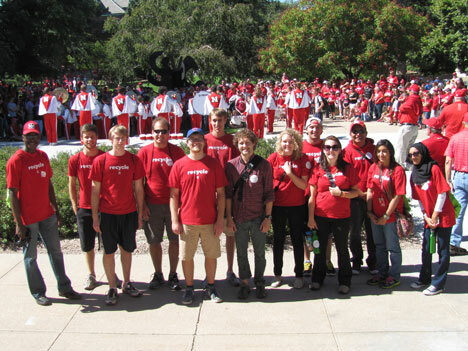 This is usually done by faculty, staff, or student assistants. 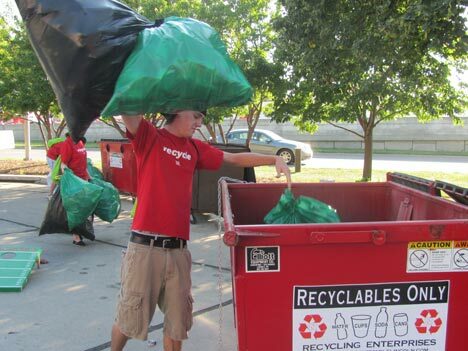 Please refer to the Recycling Pickup Schedule to identify recycling pick-up days. Monitor your work area. If you see recycling overflow,please pick up around the container. 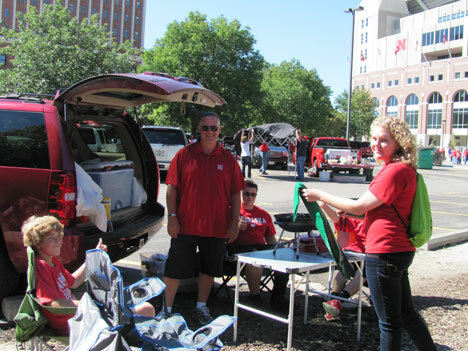 If dumpsters at pick-up locations are full prior to the designated pick-up day, call or e-mail UNL Recycling to request an earlier pickup. If you wish to improve or expand your building or department’s recycling system, we would be happy to offer you guidance. Also, if you are in need of new containers, we can help provide several different options. Please go to Request a Container to see the options and fill out the request form. If your building is not on one of our pick-up routes, please contact us so that we may add your location. 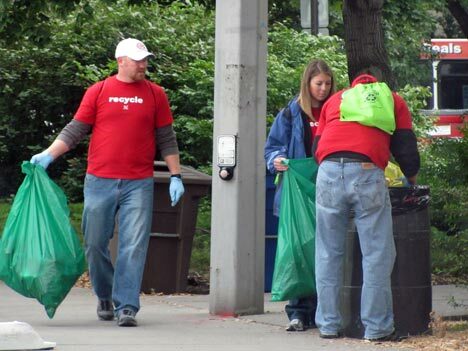 For any additional information contact us by phone, (402) 472-9139, or email, recycling@unl.edu.